The purpose is to ensure gas transport capacity for gas volumes from planned and future field developments, such as the field developments of Aasta Hansteen, Linnorm and Zidane. The Polarled project, headed by Statoil, will involve pipeline installation at water depths reaching 1265 metres, setting a world record for deep water installation of a 36" pipeline. The pipeline will be laid through very uneven terrain where ancient icebergs has been scouring the sea bed leaving behind numerous of free spans of up to 200 metres. The pipeline will be installed empty on the uneven seabed and flooded shortly after. Detailed analyses of the entire route have revealed approximately 85 locations where the pipeline loads would exceed allowable loads due to free spanning. For these locations we have assessed how seabed intervention could most efficient be made - either removal of peaks and shoulders by dredging, or installation of rock support in the free spans. The result is that a large number of both supports and dredging of peak and shoulders is required. Ramboll will provide offshore engineering assistance onboard a specialized vessel rectifying the seabed. The offshore work will be performed in water depths ranging from 87 m to 460 m.
The pipeline installation will commence in 2015 where one of the largest pipelay vessels Solitaire will install the Polarled pipeline starting at the Nyhamna terminal. For the initial section in Bjørnsundet counteracts will be installed enabling laying in curves with low lay radii (1.0 – 2.5 km). The Polarled pipeline's route lies within the narrow strait of Bjørnsundet, parallel to existing subsea pipelines. This requires specialised route designs, including the use of turn points allowing the route to follow the overall contours of the strait. Some of the temporary installed turn points have to be installed on pre-lay foundations. The geotechnical design for the subsea structures comprising five inline tee assemblies and the Polarled PLEM (PipeLine End Manifold) has also been demanding due to the soft clay. The geotechnical analyses have included 3D geotechnical modelling used to optimize the design. As part of the geotechnical design, earthquake analyses have been performed for 100 year and 10000 year earthquakes to assess the settlements. Ramboll carried out an assessment of the tie-in operation using remotely operated tie-in equipment. Assistance to Statoil for preparation of Environmental Impact Assessment for the offshore pipeline part (2012). The pipeline engineering services is performed by Ramboll's Copenhagen office, with valuable assistance from our offices in Norway and India. Ramboll will be working on the detailed design and follow-on engineering for the project until the end of 2016. The Norwegian Sea in places presents some unique challenges and features in connection with pipeline installations. At its deepest location, the pipeline will be situated 1.3 km below the surface. On its way to shore, the pipeline will be passing through rough, uneven seabed terrain with sensitive marine environments such as cold-water corals. Ramboll was seconded to Statoil in Stavanger as assistance in preparing a full Environmental Impact Assessment (EIA) of the pipeline system, and providing ad hoc assistance on HSE matters. Impact assessments (EIA, ESIA) is used to identify and assess environmental and social effects, compare alternatives, and design mitigation measures. Ramboll has extensive experience with EIAs of offshore pipeline systems, with Nord Stream, SkanLed and Baltic pipeline as notable examples. An approved EIA is a prerequisite for realisation of the Polarled project. Ramboll prepared a proposal for the EIA program which was sent for public consultation to 81 hearing parties, including municipalities, NGOs and government institutions. Statoil's natural gas pipeline will be connecting the Aasta Hansteen gas field, just north of the Polar circle, and other future fields in the Norwegian Sea, with an onshore gas terminal at Nyhamna. The operator, Gassco, will ensure further transportation of the gas to continental Europe and the UK. 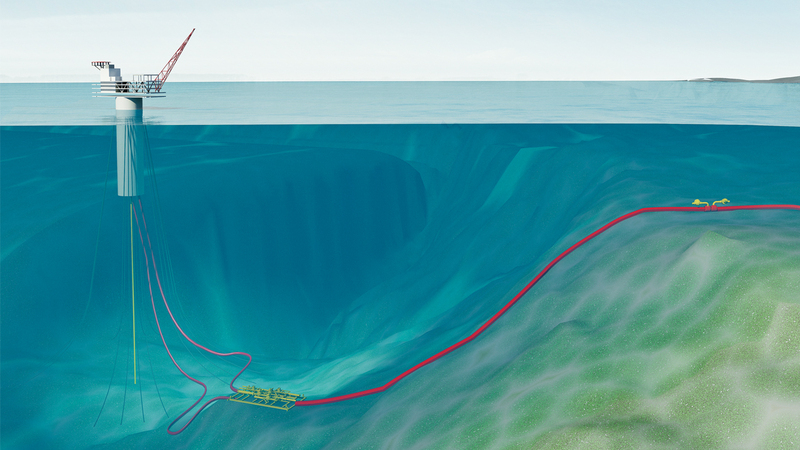 The water depth at Aasta Hansteen is 1.3 km, and 480 km 36" pipeline is routed to Nyhamna Gas Facility. A new export pipeline from the Kristin platform is also included as part of Ramboll's scope of work. The Polarled EIA assesses environmental and societal impacts, based on a solid understanding of the local conditions. Interfaces to associated EIAs (eg Nyhamna, and Aasta Hansteen) were managed to ensure a holistic approach. Incorporating input from the public consultation and approval by the Norwegian Ministry of Petroleum and Energy, a full Environmental Impact Assessment was prepared. The EIA prepared by Ramboll takes into consideration the local conditions, applying Ramboll's international EIA experience in a Norwegian context.